Add all ingredients to a blender. Blend until smooth and pour into a coupe glass. Do not garnish. 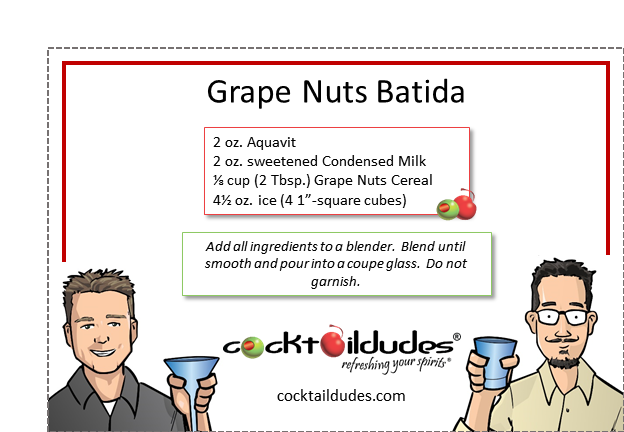 Like a cold bowl of Grape Nuts cereal, this cocktail is sweet and delicious! 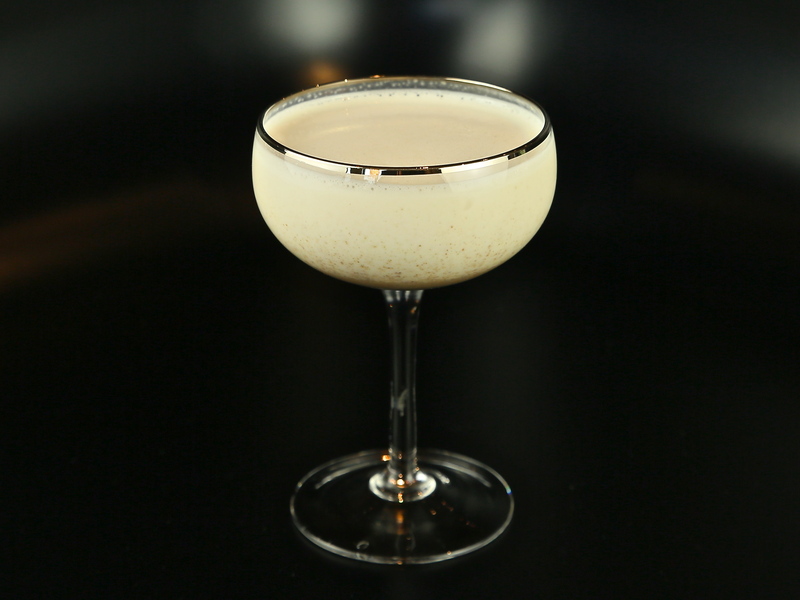 A far cry from the fruity Batidas enjoyed throughout Brazil and made with Cachaça, fruit, sweetened condensed milk, and ice, our Grape Nuts Batida marries the earthy cereal with the caraway notes of the Aquavit to remarkable effect. Euell Gibbons would be proud! If you like this concoction, be sure to check out the classic and original Batidas we have made, along with our other cereal-inspired cocktails. Cheers!